Countless reasons exist for why a person, organization or brand might want to make edits to their pages on Wikipedia. However, haphazardly making changes can have surprising, and lasting, effects -- properly maintaining Wikipedia pages is a task best handled with care. 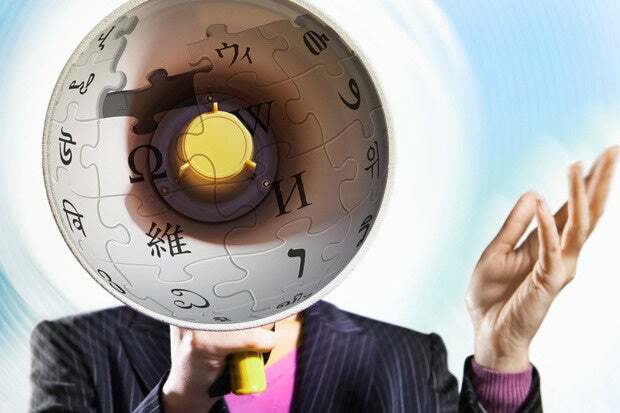 Here are six Wikipedia dos, and six more don'ts, from a handful of marketing experts we interviewed for advice and best practices on the care and feeding of Wikipedia pages. For more in-depth advice, read "How to effectively create and manage a Wikipedia page." To ensure full disclosure and transparency you should create a Wikipedia user account before making any contributions. If you don't use a Wikipedia account, your IP address becomes your user ID on Wikipedia, and this can raise the community's collective eyebrows. In the past, anonymous editors with conflicts of interest were exposed in the media via their IP addresses, so there is a certain stigma associated with using an IP address as an ID. It's never a good idea to use adjectives when describing a person, product or service on Wikipedia, such as "leading provider of" or "successful product launch." Adjectives often create subjective tone. When in doubt, state the facts as plainly and objectively as possible. Don't assume Wiki editors and readers understand industry buzzwords, such as "growth hacking," "synergy" or "data mining." "Lose the marketing mumbo jumbo and just write clearly and simply," says Richard Heby, head of content for Hokku PR. "Make sure anyone who reads the page can understand what you do." "Often, we see companies use their press releases as cited sources to explain why they are 'above average' and deserve a Wikipedia page," says Max Soni, founding partner, Qumana. Soni adds that while Wikipedia doesn't forbid the use of press releases as sources, you're more likely to get the community to accept edits if credible media outlets back the facts. Wikipedia has no shortage of guidelines, but your contributions still might "slide through" the review process even you didn't back up all stated facts with credible, third-party sources, according to Soni. Certain edits can also attract scrutiny, especially if you disclose a conflict of interest or state that you were paid to make them. In other words, it's impossible to accurately predict the effects of edits, and the safest bet is to follow Wikipedia's rules to the letter. High-level corporate executives will sometimes see their companies' Wikipedia articles — or notice they don't have any — and immediately order a PR team to create one or update, correct, or expand the existing pages. And while they're at it, the CEO might suggest, why not get rid of that pesky "controversy" section, too? This is an understandable reaction, but it's important to properly set expectations within your organization. And it's a good idea to ensure everyone involved understands that no person or entity can fully control their own Wikipedia articles — Wikipedia cofounder Jimmy Wales, who caught heat in 2005 when he edited his own Wikipedia article and declared himself the sole founder, is a perfect example. A more effective strategy is to try and influence the Wikipedia community to update, correct, expand, or accept your articles in a way that serves the interests of Wikis reader and your company — in that order.